JACKSON, MS (Clarion-Ledger) – With state elections approaching, candidates looking to evade chastisement for the state’s low teacher pay are likely to cast some blame on a familiar foe — administrative spending growth. A review of school district spending from 2007-2017 released by Mississippi Auditor Shad White’s office Tuesday, finding that administrative spending has increased from $822 million to $968 million or by more than 17 percent over the past decade, will likely bolster the finger-pointing. The report also said that non-instructional spending increased from $1.3 billion to $1.4 billion or by more than 10 percent during the same time period. It also asserts that school systems could boost teacher pay by more than $11,000 if both categories of spending had remained frozen at their respective 2007 budget year levels. That influx would be enough to push the state’s average teacher salary past the Southeastern average of about $51,000. Mississippi teachers on average earn $44,659, according to the state Department of Education. That figure is likely to fluctuate after a $1,500 teacher pay raise goes into effect, starting July 1. A spokesman for White says the auditor’s office began its review in October. But the report’s release comes amid sparring over the state’s $1,500 teacher pay raise signed into law by Gov. Phil Bryant on Tuesday. “Our hope is that all education policy makers, including local officials, read the report and reevaluate how we are spending non-instructional dollars,” White said in a statement. School districts typically derive their funds from local, state and federal tax dollars; the auditor’s report includes revenue from all three sources. Loome questioned the inclusion of federal funds, often attached to restrictive spending guidelines, in the report, as the U.S. Department of Education bars districts from replacing state and local dollars with federal funds. Although the growth of administrative and non-instructional spending has outpaced funding increases for instruction, spending for instructional support has increased by 20.26 percent since the 2007 budget year. A key argument in the report’s analysis is that spending growth has continued while enrollment in the state’s public schools has declined. In recent years, state political leaders have embraced belt-tightening by merging rural school systems and criticizing the spike in outside-the-classroom spending. Superintendents and public school advocates often push back that spending for instruction and classroom support, comprises the lion share of district budgets. On average districts dedicated roughly 83 percent of their budgets to the classroom during the 2018 school year, according to a report from the state Department of Education. The review also found administrative spending accounted for 11 percent of districts’ spending. SUMRALL, Miss. (AP) — A former bookkeeper of a south Mississippi fire department is charged with stealing $69,000 from the agency just months after her predecessor was named on similar charges. Jessica Delancey was indicted and arrested Friday on one count of embezzlement from the Oloh Fire Protection District in Lamar County. She’s free on $10,000 bail. 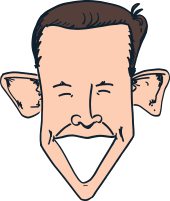 It’s unclear if Delancey has a lawyer. State Auditor Shad White has demanded that Delancey pay $100,000 to cover the missing money, plus interest and investigation costs. Delancy was covered by a $50,000 surety bond, meaning the insurer could repay lost money. Delancey started working for the Oloh fire department in 2012, White said. After Lamar County supervisors reported discrepancies, investigators for the auditor’s office determined Delancey wrote checks to herself for $68,719.59 more than she was supposed to be paid. Delancey stole the money between February 2013 and July 2018, White said, citing it as another example of how people can easily steal from small government agencies when only one person controls the money. Delancey faces up to 20 years in prison and a $25,000 fine. In October, Delancey’s predecessor, former Oloh fire treasurer Michelle Barefoot, was indicted for embezzling $23,000 from November 2010 to February 2012. 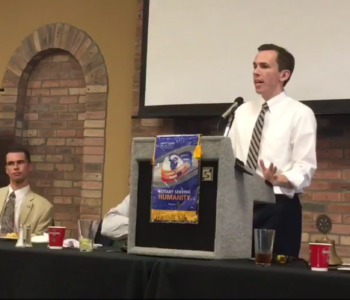 White was appointed to the position of state auditor about nine months ago, meaning he’s in charge of the office that sorts out misappropriation, theft and corruption in government offices all over the state, he told Columbus Rotary Club members at their weekly luncheon at Lion Hills Tuesday. White told the story of an investigation into embezzlement last year at Coahoma Community College in which his office found two women had conspired and stolen $980,000 over four years. Following their investigation, White and several investigators travelled to Clarksdale to publicly present their findings to the area district attorney, expecting local media to be the only members of the public to show up. He was later told he shouldn’t publicize the case because the suspects had enough friends, family and connections that White might lose the county if he ran for re-election. But White said he feels part of his job is talking about the cases — not just to reassure taxpayers he’s working on their behalf, but to deter others from stealing. White stressed that most often the office’s investigators root out corruption through tips, rather than audits his office conducts. He also, in answer to a question from a Rotarian, shed light on why Mississippi tends to rank highly in “most corrupt states” lists. He pointed out that Mississippi every year is among the top five states for per capita convictions of public corruption, meaning it’s possible other states just aren’t catching as many as Mississippi. “There is potential that there are other states out there worse than us,” he said. But he said he feels issues throughout the state such as small government offices, rural areas and widespread poverty make it easier for government employees to get away with corruption over long periods of time. For example, he said, they discovered the $980,000 embezzlement from a community college, not Mississippi State University which is big enough to employ internal auditors. 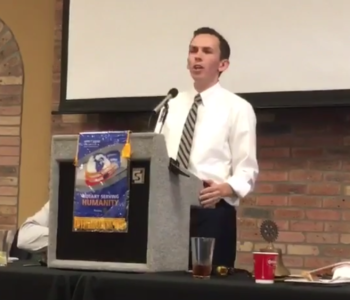 When asked by both audience members and The Dispatch whether his office was looking into the city of Columbus’ financial difficulties — which include potentially being $338,000 in debt by October, according to the city’s financial consultant — White said he couldn’t comment on whether his office was conducting investigations into particular departments. He did say that while his office could potentially investigate a tip, his office legally cannot conduct audits of municipalities. White also didn’t speak about similar financial difficulties faced by Lowndes County School District, which has run deficits the past three years totaling more than $7 million. However, he said his office can conduct investigations into school districts if they receive tips. 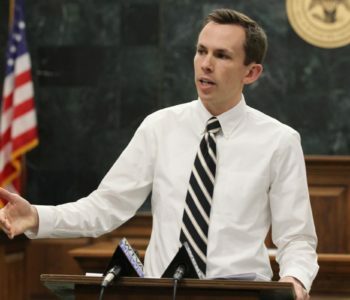 JACKSON, MS (WLBT) – State Auditor Shad White announced on Tuesday that his office returned $52,780.09 to Mississippi taxpayers last month, after investigations by the Mississippi Office of the State Auditor determined public funds were stolen or misused. A significant amount was recovered from Chris Smith, who was issued a demand letter in January 2019. The State Auditor’s Office recovered $25,000 in February from Smith, the former director of accounting and finance at the Mississippi Board of Animal Health. He received a demand letter after investigators determined he paid personal C-Spire, DirecTV, Entergy and Atmos Energy bills, using a government procurement card. While the principal loss has been repaid, Smith is still responsible for interest and investigative cost of the case. Since being appointed in July 2018, State Auditor White has issued demands for nearly $3.5 million in stolen or misspent public money on behalf of Mississippi taxpayers. Once recovered by the Auditor’s office, the money is returned to the agencies, counties, municipalities or other government entities to which it belongs. Fraud and embezzlement can be reported to the Office of the State Auditor online by clicking the red button or via telephone during normal business hours at 1-800-321-1275. TUPELO • The commissioners of the Town Creek Master Water Management District have illegally paid themselves more than $350,000 over the past two decades, according to an investigation unveiled Monday by state Auditor Shad White. Created by court order in 1961, the Town Creek management district was intended to help prevent flooding and has taxation authority in parts of four Northeast Mississippi counties: Lee, Pontotoc, Prentiss and Union. The auditor charges that the district’s board members have padded their pockets by paying themselves daily rates higher than the state allows when conducting business for the district. The auditor’s office served the district’s board members notice of the allegations on Monday, with a demand for repayments. White himself discussed the charges in a Tupelo press conference. The past and present board members identified in the audit investigation are James Robinson, Jim Bucy, Jim Long, the now-deceased John Morgan, Kenneth Oswalt, Luther Oswalt, Michael Pannell and Teressa Winters. Including interest and investigation charges, the auditor has demanded repayments totaling more than $500,000, with some board members receiving claims for as much as nearly $100,000. Surety bonds covering the board members – essentially, a type of insurance policy – should theoretically ensure that misspent funds are recovered, though the bonding company could fight the auditor’s demands. The Lee County Chancery Court created the Town Creek water district, and the court has held the power to appoint the commissioners that govern the district. The district has sought to control flooding primarily by digging retention ponds and drainage ditches and controlling the beaver population. Under state law, the commissioners of the management district board may only pay themselves $12.50 per day, plus reimbursement for expenses, when conducting business for the management district. Dating as far back as 1999, however, the auditor says commissioners began to approve payments to themselves in excess of the legal limits. By 2014, the auditor says commissioners were paying themselves $600 each for board meetings. In the mid-1990s, a Daily Journal investigation raised questions about the Town Creek water management district’s financial controls and bookkeeping practices. The auditor has also raised questions about the property tax levy that provides funding for the Town Creek management district. That levy was approved in 1967 only to help pay off a federally-backed loan. However, as property values have risen, the revenue provided by the levy has outstripped what’s need to service the loan and the loan itself was finally paid off in 2008, over a decade ago. The tax levy remains in place, however. Only property owners with land within the district’s boundaries pay the district’s tax levy of 12.67 mills. Most of the district’s land is in Lee County, including the Mall at Barnes Crossing. According to White’s office, the Town Creek management district collects more than $700,000 in revenue annually and has cash reserves of $1.3 million. UPDATE: The former state health inspector accused of overcharging the restaurants he inspected has another job title: Holmes County constable. Willie Anderson overcharged restaurants in Holmes County while he worked as a state health inspector for the Mississippi Department of Health, and he then falsified department records and kept the difference in cash, a Holmes County indictment says. 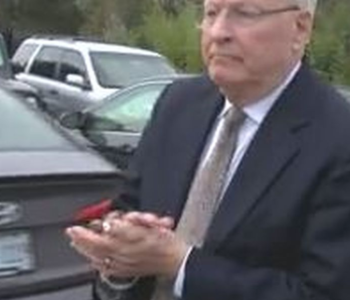 The 59-year-old Anderson was booked into Holmes-Humphreys County/Regional Correctional Facility on Wednesday following a two-count indictment on embezzlement and altering public records charges. State Auditor Shad White, whose office investigated the case, said Anderson took $850 in cash from nine restaurants from Dec. 31, 2011, to March 15, 2015. White said suspicion arose after his office noticed different payment totals between restaurant and department of health records. Anderson performed restaurant inspections in Holmes County for at least 10 years, according to Mississippi Department of Health inspection records, before he was let go. Anderson is currently serving out his second term with Holmes County as District 2 constable. As constable, Anderson has the power to make arrests and serve summonses and subpoenas for people to appear in court in criminal and/or civil matters. 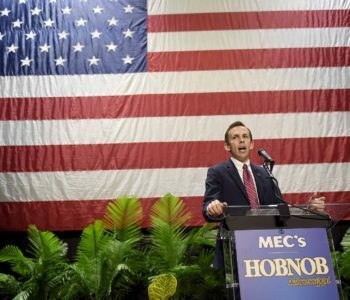 “I have a record of being fair, honest and open to all the citizens of Holmes County,” Anderson said at a 2015 Mississippi Constable Association meeting, the Holmes County Herald reported. Anderson was released on a $5,000 bond. He faces up to 30 years in jail on the two charges. BAY SPRINGS, MS (WDAM) – Approximately $300,000 was stolen from the City of Bay Springs after a city clerk got caught up in an international lottery scheme, according to State Auditor Shad White. White announced Wednesday his office has issued a demand for $325,561 from former city clerk Randy James for suspected embezzlement. According to White, this ranks as the ninth largest demand for embezzlement in the past decade in Mississippi. “My office will work to hold fraudsters like Randy James, who knowingly steal your money, accountable with zero tolerance for this kind of theft,” said White in a news release. White said James stole about 10 percent of the city’s annual budget from August 2017 to April 2018 after being duped by scammers into sending money overseas in hopes of winning money in a lottery scheme. 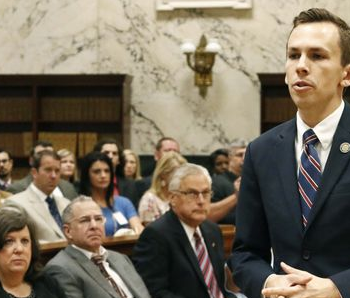 The state auditor’s office alleges James created and paid fraudulent invoices from fake business to siphon money from the city into a secret bank account. White said James, under instruction from the scammers, would transfer city money into that secret account in increments of $1,950 to $50,000. James would then wire the money overseas, White said. White said the alleged embezzlement was brought to the attention of the city after local bank officials became suspicious of James’ transactions. In addition to his demand letter, White said James could face criminal prosecution. White added that James was covered by a $50,000 surety bond while he was employed with the City of Bay Springs. HATTIESBURG, MS (WDAM) – Former accountant Carl Nicholson has been found guilty on 11 felony counts, including conspiracy to defraud the United States government, four counts of false statement on income tax return and six counts of willfully aiding/assisting in preparation of false tax returns. I want to congratulate the team of law enforcement personnel–from the State Auditor’s office, to federal investigators, to the prosecutors in the U.S. Attorney’s Office–who worked hard to bring Nicholson to justice. This type of collaboration makes it harder for corruption to persist in Mississippi, so I’m committed to working with our partners to hold fraudsters accountable. 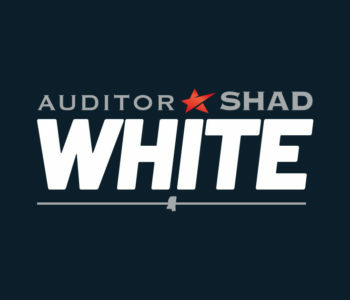 Today State Auditor Shad White announced his office returned over $350,000 to Mississippi taxpayers on Thursday after investigations by the Mississippi Office of the State Auditor determined public funds were stolen or misused. Significant amounts were recovered from John Cullen, Mary Washington, and Jerome Wyatt. 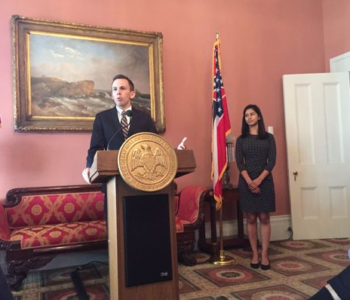 The State Auditor’s Office recovered approximately $126,000 in January from former CEO of Payliance, John Cullen. He received a demand letter after Payliance took economic development funds from the Mississippi Development Authority and relocated to Ohio without creating jobs in Mississippi. This case has been paid in full. Mary Washington was issued a demand after she paid “tithes” to multiple churches using public money in her position as Chancery Clerk of Noxubee County. The Auditor’s office has recovered all funds misused by Washington. Special Agents from the Office of the State Auditor arrested Jones County Supervisor Jerome Wyatt in October 2018 after he was indicted for fraud and embezzlement. He allegedly approved fraudulent overtime payments and took money from a youth mentorship program and from the scrapping of a County-owned vehicle. Wyatt has repaid the full amount of the demand issued to him, but criminal charges are still pending. 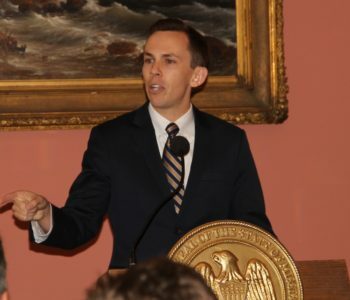 Since being appointed in July 2018, State Auditor Shad White has issued demands for approximately $3 million in stolen or misspent public money on behalf of Mississippi taxpayers. Once recovered by the Auditor’s office, the money is returned to the agencies, counties, municipalities, or other government entities to which it belongs. Fraud and embezzlement can be reported to the Office of the State Auditor online any time by clicking the red button at www.osa.ms.gov or via telephone during normal business hours at 1-(800)-321-1275. Copyright 2018 Friends of Shad White.